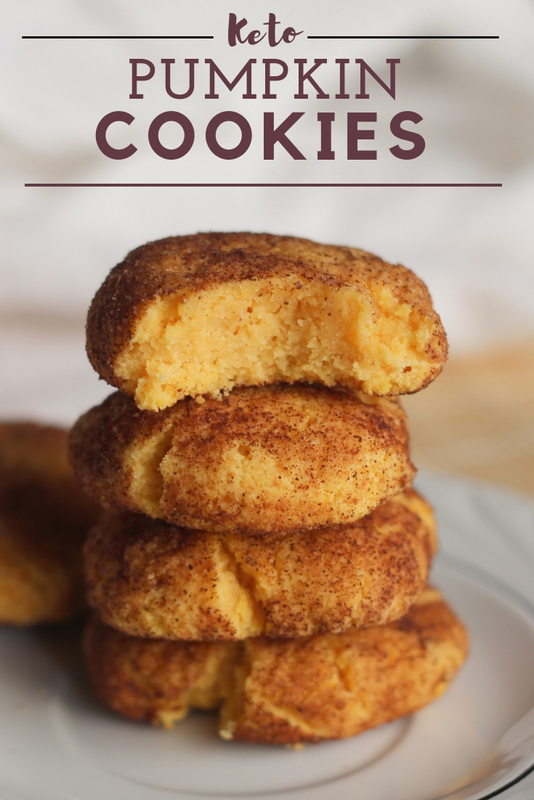 Keto Pumpkin Cookies: Keto Pumpkin Snickerdoodles! add more stevia to the pumpkin puree. Everyone loves pumpkin spice right? It is for this reason that I rolled the keto pumpkin cookies in a combination of erythritol, cinnamon, ginger, all spice and nutmeg. The spice combination as a result creates the infamous pumpkin spice that everyone loves so much. On the other hand, if Pumpkin Spice is not your thing just roll the keto cookies in erythritol and cinnamon and they will turn out fine. Alternately, you can skip rolling the keto cookie dough in anything and they will taste just fine. These Keto Pumpkin Cookies were created to allow you to eat keto and also indulge in the pumpkin craze. In other words, eat your keto pumpkin treats this fall and keep your keto too! 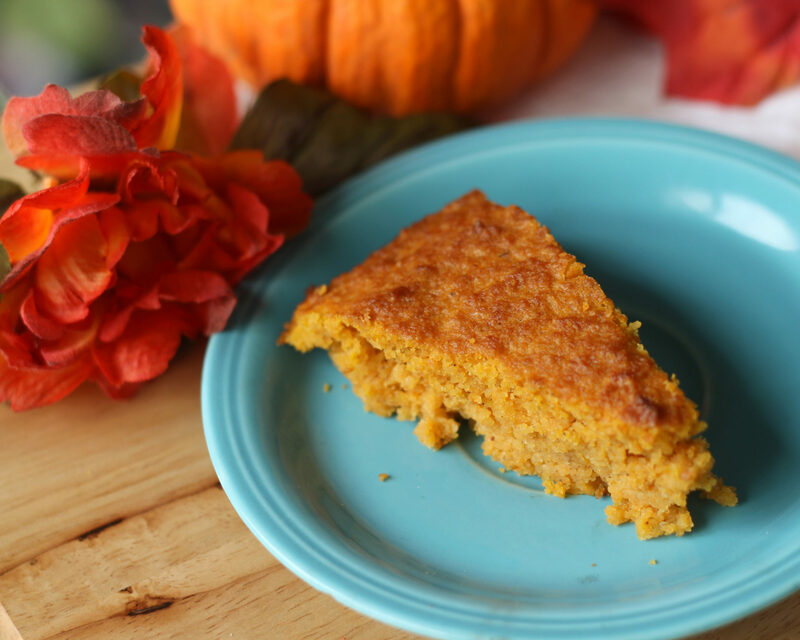 For more Pumpkin and fall recipes don’t forget to check out Pumpkin Olive Oil Cake and Keto Maple Pecan Truffles. 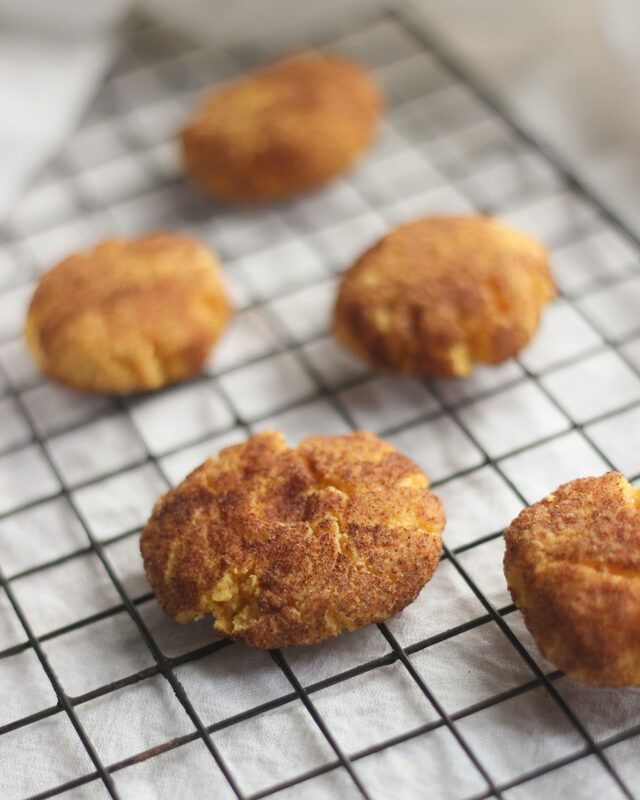 Delicious Low carb Keto Pumpkin Cookies. First, line a cookie sheet with a Silpat or parchment paper and pre heat the oven to 350. Next, use the hand mixer and blend together the Coconut Oil, Erythritol and Stevia together for about 30 seconds. Next add the eggs and Pumpkin Puree and blend again using the hand mixer. Add the Coconut Flour, Baking Powder, gelatin and Cream of Tartar to the Keto Cookie batter. Stir using a wooden spoon until the mixture resembles cookie dough. Meanwhile, Combine the remaining 2 tbs of erythritol with the other seasonings. You can use Pumpkin Spice for this step or omit completely. Next, roll the keto cookie dough into balls about two inches in diameter using your palms. You should be able to roll out 24 keto cookies. Roll the keto cookies in the erythritol and seasonings mixture that was previously made and place the cookie balls on the silpat. 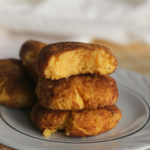 Using a mason jar or measuring cup, gently smush each keto cookie ball on to the silpat. I smush them just slightly so that they do not roll around on the cookie sheet and they look pretty. Next, place the cookie sheet into the oven and bake for about 10 minutes. Take the cookies out of the oven when they are firm on top. They will continue to cook on the cookie sheet and it is for this reason you need to let them sit, on the cookie sheet for another 10 minutes. Transfer the Keto Pumpkin Cookies to the warming rack on the counter. Store the cookies in an air tight container. They get better the colder they get and it is for this reason why I refrigerate them and prefer them cold. 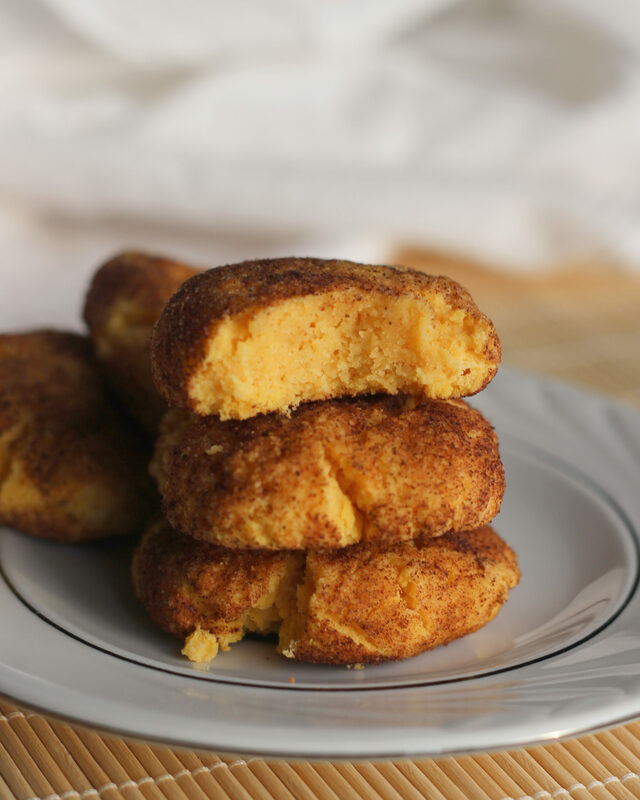 If you make these keto pumpkin cookies I would love to hear from you so please comment below. Lastly, don’t forget how important it is to share this recipe on social media and share the keto cookies with your friends! Is there a way to sub the butter flavored coconut oil….have never seen it on the shelves ….recipe sounds so good I want to try it. Butter or regular coconut oil will sub in fine for this recipe. I hope it works well for you! Are the balls really to be about 3 inches in diameter? That seems HUGE. Maybe a bit smaller now that I am thinking about it – I made 24 balls they were no three inches maybe more like 2-2.5 inches – I rolled then adjusted and then rolled them in the sweetener and spices – I hope this helps! When do I add the gelatin? Do I add it with the other spices?? Omg…I just made these…WAY TOO MUCH cream of tartar. I can’t even eat them, they are so sour. Going to try them again just reducing the COT down to about 1/2-1 tsp…not Tablespoons. Wow – Thanks for telling me – that was a typo for sure and an important one at that. I have updated the recipe with less COT. I hope it works out for you. Lol 😁 …just those little reminders that we are human. 🙂 I will definately be trying them again and I will let you know how they taste for sure. 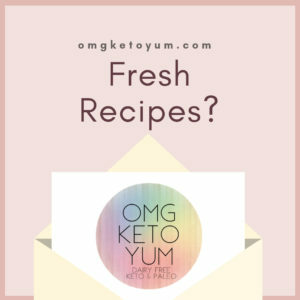 Keto Mint Chocolate Cookies : Sugar free keto cookies! 2 inches tall after you smush them? Just about – I barely smushed them – just enough so that they don’t roll around on the cookie sheet and they totally will!